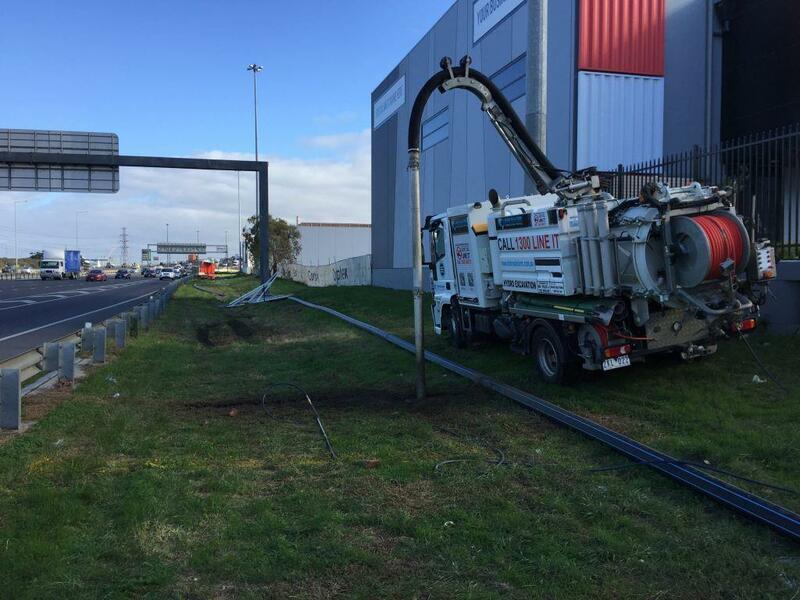 We recently completed Underground Utility Locating and Hydro Excavation, potholing to locate and expose various underground electrical and communications assets beside the Westgate Bridge Freeway Port Melbourne inbound lane in the grassed area between the inbound freeway and the buildings on Cook Street backing onto the freeway. 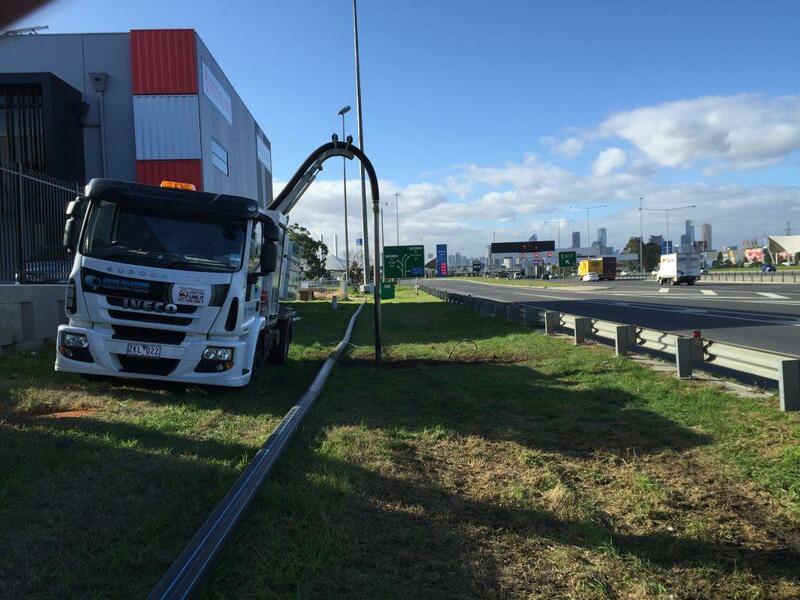 The plumbing company we were working for were replacing the existing 150mm water main, from the service road at the petrol station in the grassed area down to Todd Road. We first used our electronic utility locating equipment to locate various buried assets. 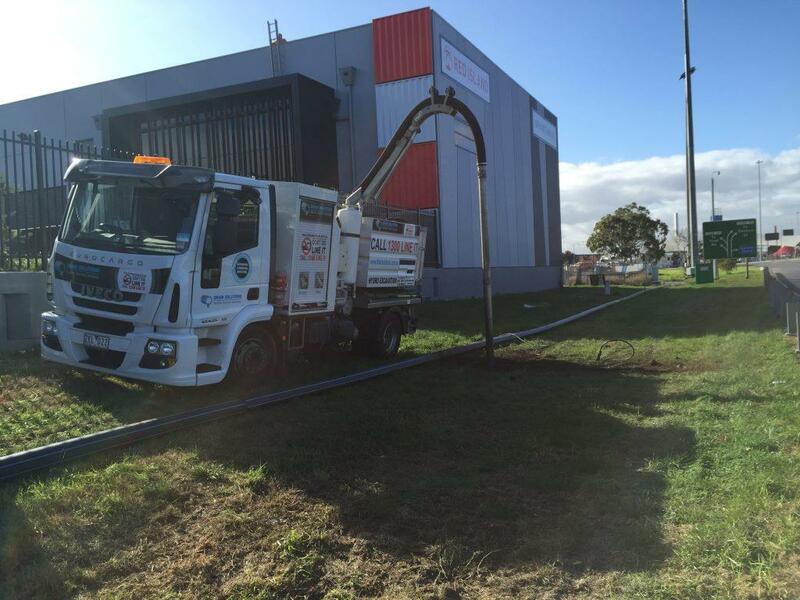 Once the assets were located, we then used our hydro excavation truck (Non Destructive Digging) by potholing to visually expose the buried asset along the path of the new water main.